Englishman Brett Baker (B. 1973) is viewed as one of Europe’s leading brass performers and educators. He is passionate about encouraging new composers to write pioneering new repertoire for the trombone having been involved in over 100 commissions. Brett is Programme Leader for Musical Arts at the University of Salford, Greater Manchester, an ambassador for Michael Rath Brass Instruments, long serving Principal Trombone of the world-famous Black Dyke Band, and previously the Course Director of the Singapore and Thailand Low Brass Festivals. He is a Past-President of the British Trombone Society and Chairman of the Awards Committee for the International Trombone Association. Brett has performed with celebrated singers such as Alison Goldfrapp and Hayley Westenra, as well as other world-renowned soloists Bousfield, Alison Balsom, Wycliffe Gordon, Christian Lindberg and Joseph Alessi. He is one of the most recorded brass soloists in his genre, and as well as making numerous broadcasts and TV appearances. He is also a former Trombone Solo Champion of Great Britain and an Associate of the Royal College of Music, London. Brett’s research intersts includes trombone solo repertoire from the 17th century to the american civil war period, instrument design through modular construction, performance etiquette and the psychology of performance. He has produced over 40 solo CDs, 8 under his own label of White River Evocations, Brett features on a further 20 CDs as guest soloist. He has four sheet music solo albums with Kirklees Music and published many arrangements from trombone and piano with Studio Music. Originally from the Forest of Dean, Gloucestershire, Brett Baker was encouraged to play trombone by his father. His early teachers included Bryan Nelmes, David Rudge, Robert Morgan and Ken Harmon, whilst his early ensembles included the Bream and Lydbrook Silver Bands. In 1989, he moved to Flowers Band and joined the National Youth Brass Band of Great Britain, of which he was principal trombone for two years. His teachers at this time were Danny Hannaby of the BBC Welsh Symphony Orchestra, Steve Walkley of Sun Life Band and euphonium virtuoso, Lyndon Baglin. In 1992, Brett was a Brass semi-finalist in BBC’s Young Musician of the Year in Manchester and shortly afterwards he studied at Salford University, simultaneously joining Williams Fairey Band under Major Peter Parkes. At Fairey, his reputation as one of the finest players of his generation was firmly established. He was British Open Trombone Solo Champion in 1993, 1994 and 1995 and trombone tutor at Salford University from 1993 to 1996. He studied performance with Professor David King, whilst also taking Business Economics. His first solo recording, Bone Idyll, accompanied by Williams Fairey in 1996 gained much critical acclaim. His advisor at the time was Denis Wick. In 2000, Brett was invited to join Black Dyke Band under the direction of Dr. Nicholas Childs. At ‘Dyke’, he has played on over 100 CDs, and highlights included trips to the USA, Bermuda and Australia. Brett Baker, has had some impressive contest successes, gaining first at Brass in Concert whilst being the featured soloist, NABBA and the Grand Shield, he has won the All-England Masters and Australian ‘National’ twice, the European Championships three times, the English Nationals and British Open Championships four times, the National Championships of Great Britain in London, five times and Yorkshire Area six times. Pursuing a hectic performing schedule of around 60 concerts a year, Brett Baker enjoys presenting workshops specialising in performance. He has been guest trombone tutor at The Salvation Army’s Star Lake Music Camp near New York, the National Youth Brass Band of Switzerland and the National Youth Band of Great Britain. He is trombone tutor of the National Youth Brass Band of Scotland, Dartington International Summer School and the International Brass Band Summer School, he has been trombone tutor of the Northern Brass Band Trust since 1992, having been its Course Director since 2000. From 2014-2017 he was Course Director of the Bolsover Summer School and in 2015 Artistic Director for the Singapore, Philippines and Thailand Low Brass Festivals. Brett was Chair and Vice-President of the British Trombone Society (BTS) and in 2010 he became the societies President. Brett is Chair of the Awards committee of the International Trombone Association (ITA) after previously serving as the executive’s Secretary from 2005-2010. As a brass clinician he has toured from Brazil to the USA and from the Antipodes to Western Europe. He has given workshops and recitals at numerous educational establishments including Birmingham Conservatory, Trinity Laban College, London, and Leeds University. During his trips abroad, he has performed at The Eastern Trombone Workshop in Washington DC, The Brazilian Trombone Festival, The University of Western Australia in Perth, Sydney & Wollongong Conservatorium's in Australia, Melbourne School of Music, Australia, the New York Brass Conference USA, Cincinnatti and Cleveland Schools of Music USA, and the University of Toronto, Canada. He has been a guest soloist with bands in Australia, New Zealand, Western Europe, South America, North America and Japan. Future trips include Argentina, the Philippines and Thailand. Brett Baker has been a guest player with Grimethorpe Colliery, Foden’s, YBS and Leyland bands, and has performed in Las Vegas, Chicago, Cleveland and New Orleans in the USA, Sydney Opera House in Australia, the Royal Albert Hall, the Royal Festival Hall and Wembly Arena in London, Symphony Hall, Birmingham, The Sage, Gateshead and the Bridgewater Hall, Manchester. In addition to his work as a performer, he is also acquiring a burgeoning reputation as a conductor and adjudicator. Having associations with many youth bands in the North of England Brett has also achieved contest success with Northop, Ratby and Longridge bands. Brett conducted Tongwynlais Temperance at the National Finals and he has been guest conductor of the Royal Northern College of Music Brass Band, and the University of Salford Brass Band, Carlton Main Frickley Colliery and Thorsby Colliery. Brett is currently conductor of the University of Salford Symphonic Wind Band. 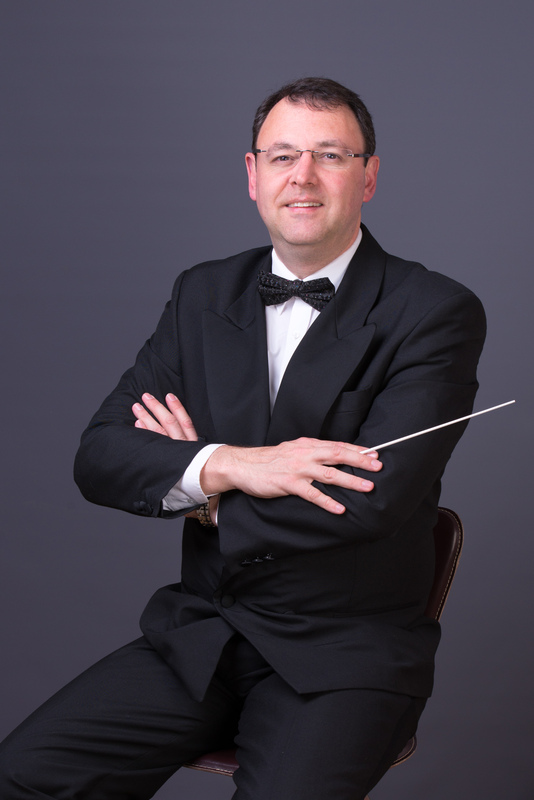 As an adjudicator, Brett, has judged many competitions and festivals including the International Trombone Association in the USA and the National Solo Championships in Switzerland. He has adjudicated at the Netherlands, Australian and New Zealand Nationals, many association contests and numerous Regional Championships. For over 20 years, Brett Baker has been keen to promote new music for the trombone, commissioning over one hundred works from composers and arrangers such as Barry, Broughton, Clarke, Davoren, Dewhurst, Duncan, Ellerby, Farr, Fernie, Forgie, Graham, Gregson, Harper, Higgins, Lovatt-Cooper, Newton, Pankhurst, Price, Sparke, Wilby, Wiffin, Wills and Wilkinson.